It’s been a long time since I was a baseball fan but growing up, I was IN TO IT. I collected baseball stickers and watched the games and as a FL native, went to many spring training games locally. A couple of times on vacation, I got to see the real thing. One summer, my dad took me to a Yankees game during a trip to NYC while my mom and sisters shopped at Bloomingdale’s. Then a couple years later, I went to a Cubs game with my parents while visiting family in nearby Prophetstown, IL where my dad grew up. He’s been a lifelong Cubs fan and passed this along to me. We ate hot dogs and ice cream and sang Take Me Out to the Ballgame with Harry Caray. It was practically cinematic. And yes, the Cubs lost as they often did in the 80s. 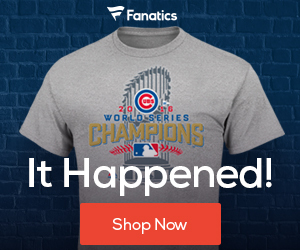 This little walk down memory lane is, of course, brought to you by the unbelievable 7-game World Series this year when the Chicago Cubs finally broke their 108 year losing streak in extra innings during Game 7. Last night was electric and I still can’t stop thinking about it. But this is a feeling I haven’t had for baseball in decades. Once I hit the teen years and began having other interests, combined with the big baseball strike, I became disillusioned with the game and stopped paying attention. But the moment I knew the Cubs were in the series, it was like years of dormant fandom just sprang to life. I was surprised to realize this actually meant something to me. I had that physical pang of homesickness inside. They just had to win. My dad said, “I’ve been waiting 70 years for this!” and somehow even though I’m half his age, I felt like I had too. Even still, it’s been a busy few weeks with travel and holidays and I’ve been keeping my eye on the games but trying not to be too involved. Baseball is a funny thing and even the least superstitious among us get crazy ideas when their team is winning (or losing). I had only been checking scores online so when I saw the Cubs were winning, I thought gosh I’d better not watch because I don’t want to jinx it! I saw many many other people say similar things. I laughed when I saw Jim Gaffigan’s tweet the other day because he is all of us. I’m too superstitious to say anything but tomorrow the 8 year old me will be rooting for the team that only used to play during the day. It doesn’t really matter which team you are rooting for. There’s something about being a fan that makes us believe we actually play a part in the outcome. And while most of us truly understand this isn’t the case, that connection means we get to celebrate the win as if it were our own. That’s community. Last night was incredible and the entire country felt it. It’s just one of those moments when people truly understood each other. It was a connection that I didn’t realize I’d been missing for a while. What a refreshing diversion from the gloom and doom of reality this year. It turns out that we don’t need one person to make America great again or to tell us how to be stronger together. All we needed was a great game of baseball. Congratulations, Cubbies. And thanks for the memories. Baseball has always been my favorite sport. It just seems to bring so many people together. It really is America’s sport. There is so much history and passion poured into the sport. 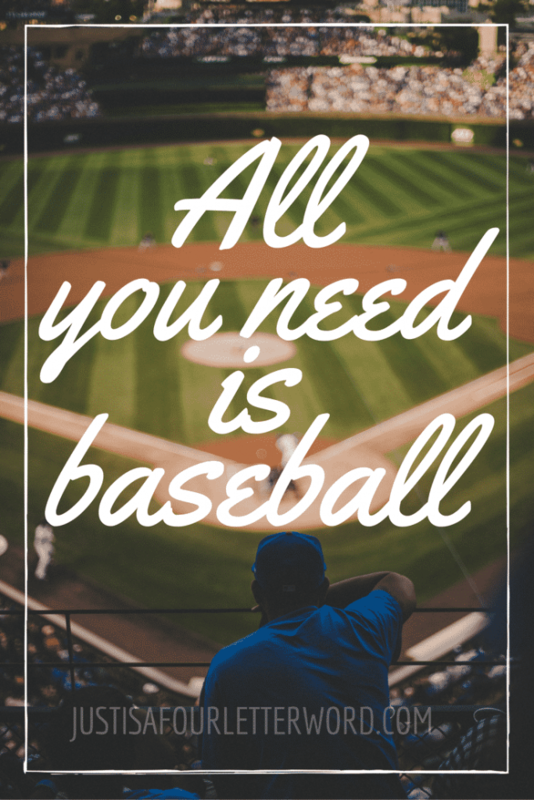 As a baseball mom, I love that my kids love it as much as my husband and I do. Thanks for the great memory, Andrea. I am proud to be your Dad. Great article! After last night this couldn’t be more true. There’s just something about sport that brings passion and unprecedented friendly rivalry, but also brings us together in so many ways. We sure do need that right now. Thanks Andrea…I used to live in Illinois back in the 80’s…saw the Cubs play many times (love Harry Caray) and I know exactly how you felt last night and today…all is right with the world even if it’s only for the moment. This was such a fun series! I have never been a big baseball fan but decided that I was going to watch the series this year and root for the Cubs! I kind of fell in love with them in the process, I think I’m a Cubs fan for life now! I LOVE baseball!! it’s a huge part of our family now with my 8 yr old playing and loving it too! great post!